Today a shorter day with a large climb. 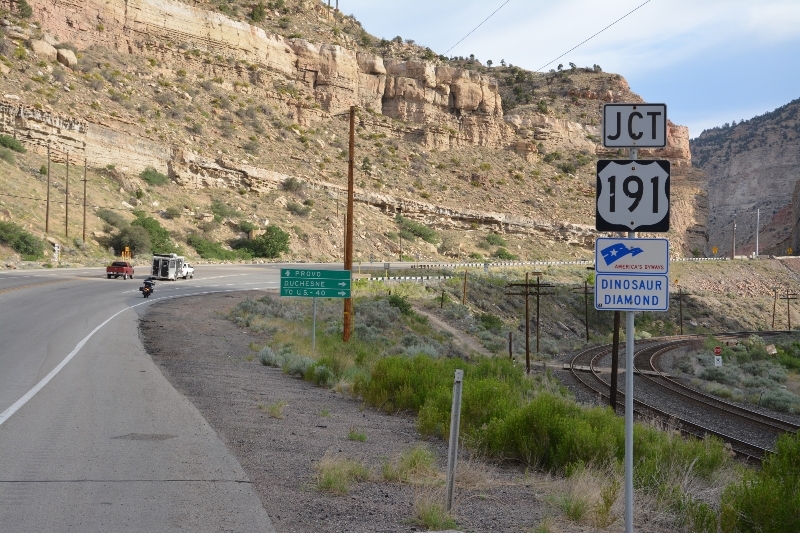 I had considered two possible routes to enter Colorado. 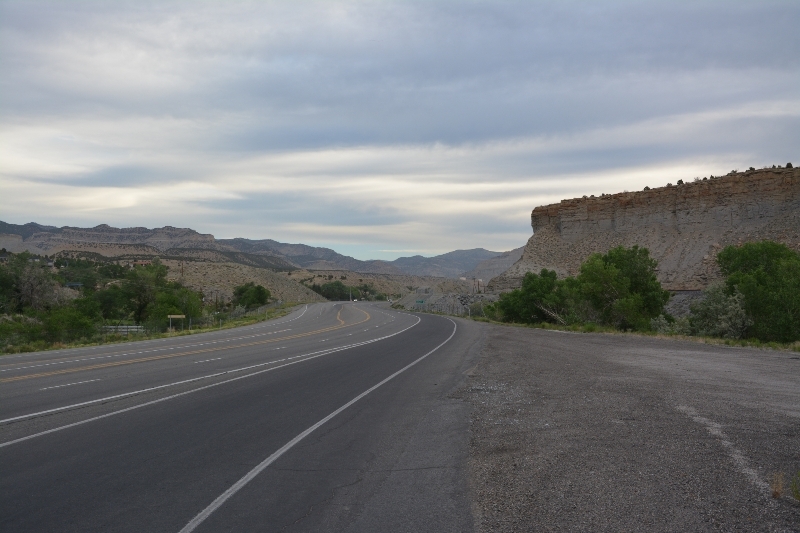 The southern route went via Green River and then mostly on old US 6 parallel to the interstate (I-70). 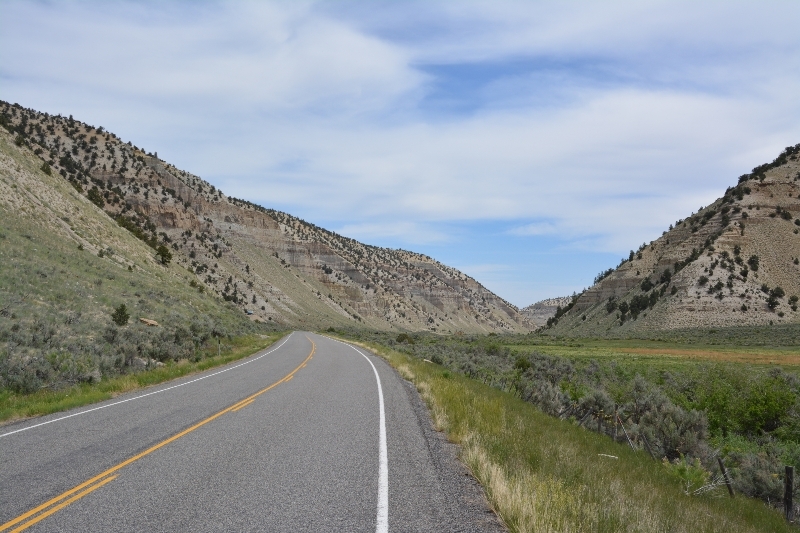 The northern route went via Vernal and along US 40. I preferred the southern route but it also had a ~90 mile gap between services. This morning checked the weather forecasts and decided to take the northern route since it was getting just a bit too hot and windy to make the southern route pleasant. Hence, the first part of the ride was 11 miles back the way I had cycled yesterday. Stopped briefly in Helper and north of there reached the intersection with US 191. There was a large coal power plant at the intersection. 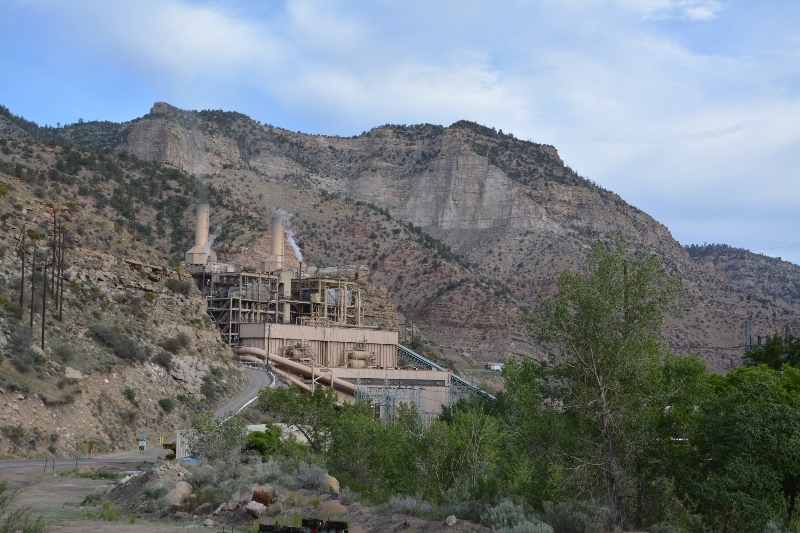 After the power plant, the road became quiet and quickly started climbing up through a little canyon. There was a lot less traffic here than US6 through there were still trucks and RVs driving this route. By 16 miles I had reached an elevation of ~7000ft and hence was 1500ft above where I had started in Price. 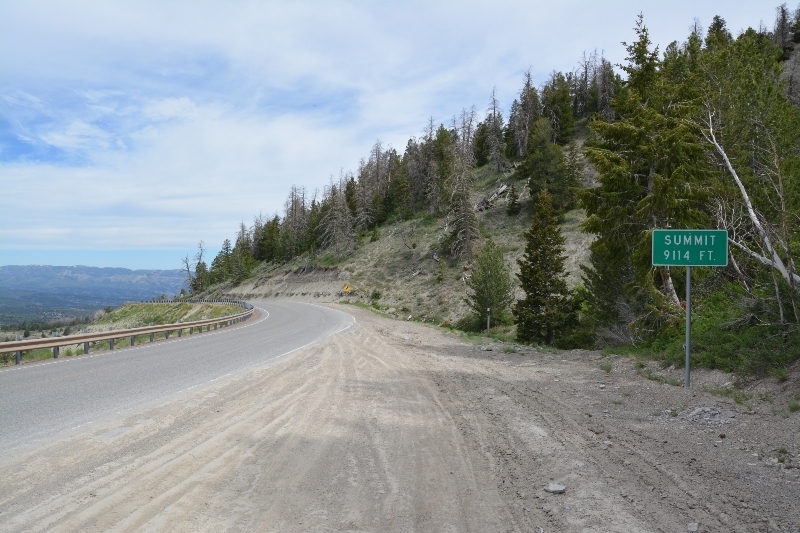 At 18 miles there was a road junction and then at 21 miles the grade became steeper and for next five miles it climbed up to the summit. Looking back, the sign said “8% grade 4 1/2 miles” and I think that was about right. to the bottom it became a more open valley. There were multiple cattle guards and also some small pumping oil wells. Overall, it was a nice ride downhill and payback for the climb earlier. At the bottom was an intersection with US 40 in Duchesne. 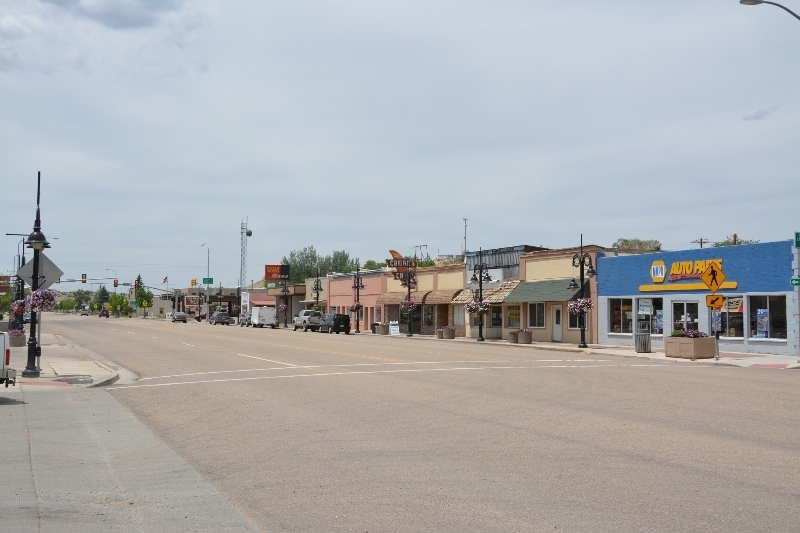 Duchesne is a town with just one traffic light (and not at US40/US191 intersection) but has some small shops and a good cafe for lunch. Decided to stop for an early day so can come into Vernal tomorrow. Wifi wasn’t working at the motel, but they told me to try the open wifi from a neighboring business.